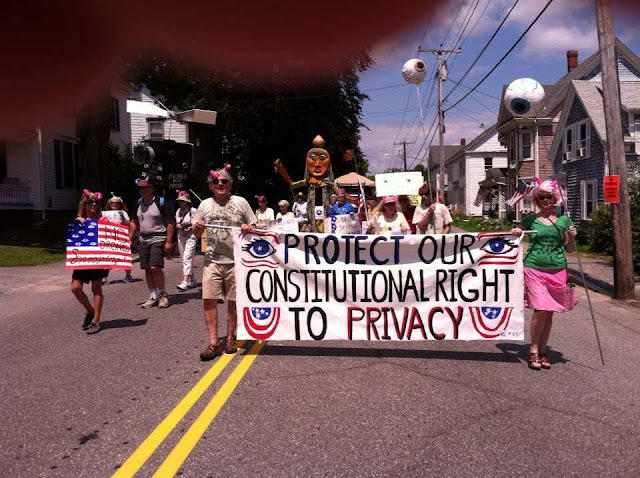 Maine busted out with 4th of July parade entries highlighting the threat to privacy posed by drones and other means of NSA surveillance. 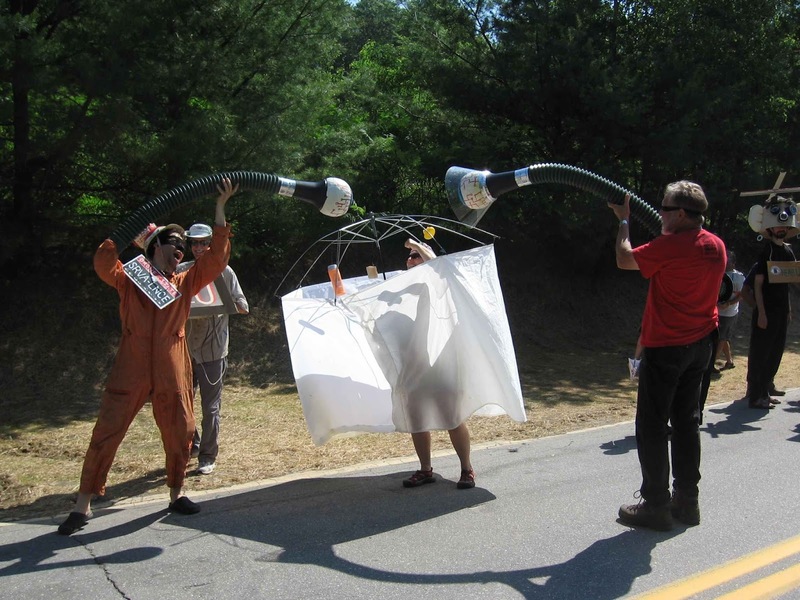 Artist/activist Natasha Mayers shared these photos from Whitefield of creative responses -- including a genius shower scene with giant eyeballs looming. 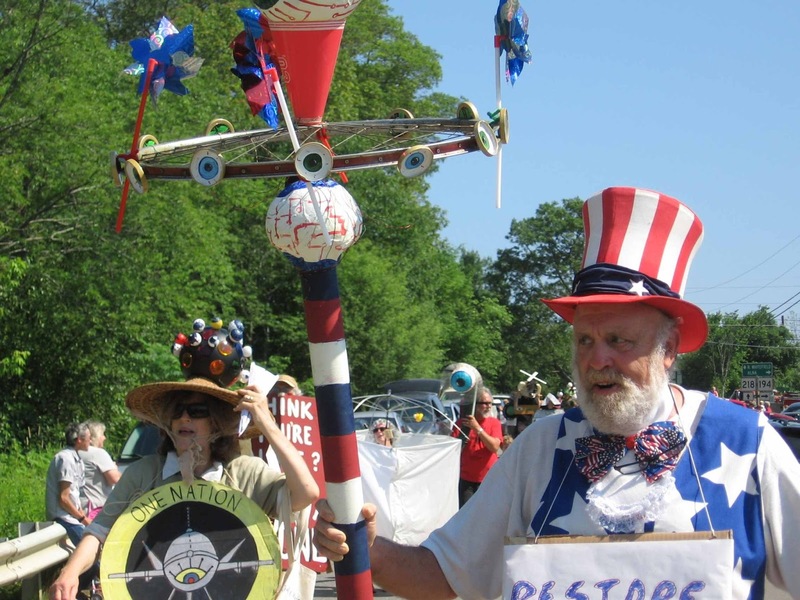 CODEPINK Mainers joined local activists from Veterans for Peace, Peaceworks Maine and the Bring Our War $$ Home campaign in a large parade near Bath Iron Works seen by thousands. 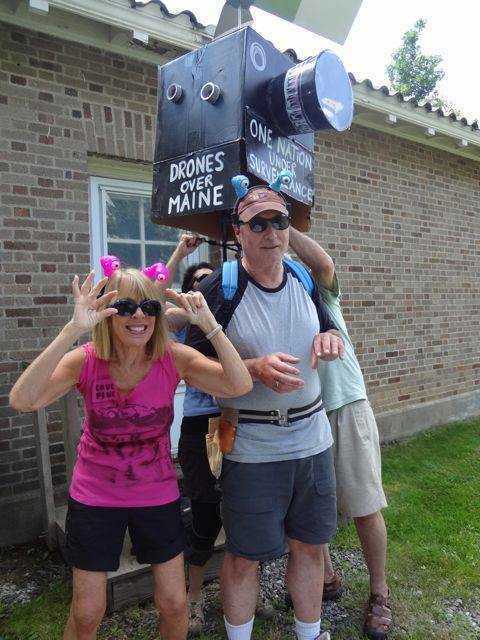 Eyeballs were everywhere (special thanks to CP Portland Local Coordinator Pat Taub for fun and silly headbands). Many along the parade route applauded our Independence Day defense of the constitution, as can be seen in this video by Regis Tremblay. It was an extremely hot day, an invisible context to our answers to Regis' question: Why are you here? 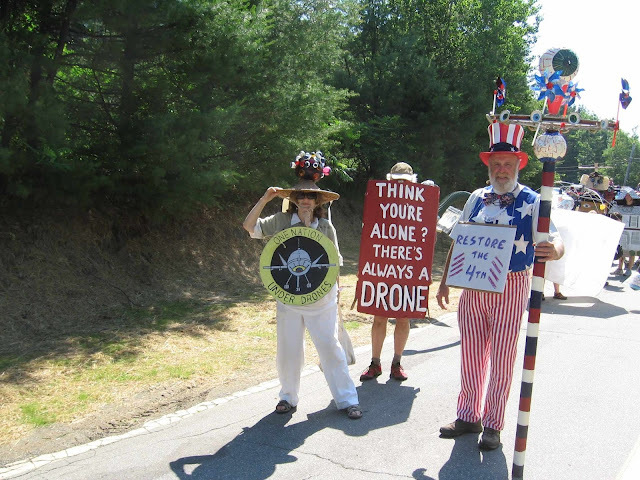 Especially popular in Bath: the drone surveillance t-shirts created by Portland artist William Hessian for the occasion. They are available for $10 (along with a second, weaponized drone design) in sizes and colors of your choice at William's etsy site.